The Cotswolds is a very beautiful area of the UK, there are so many little villages which could melt your heart from their beauty. We have mentioned many over the years here on Luxury Cotswold Properties blog and we have another one for you today! Temple Guiting is one of those “I’ve gone back in time” villages, I’m not a hundred percent sure they have the internet or telephones, in fact not sure if the village has electricity! But that’s ok, who needs a TV when you have the views and walks that Temple Guiting can offer. I guess I should say something about this week’s Luxury Property of Sale, it is called Wells Head and is just outside of Temple Guiting. This property has a lot of the boxes ticked, Space (nearly 10 acres + – I’ll come to the + in a minute), Tennis, Woodland and it’s own Lake! 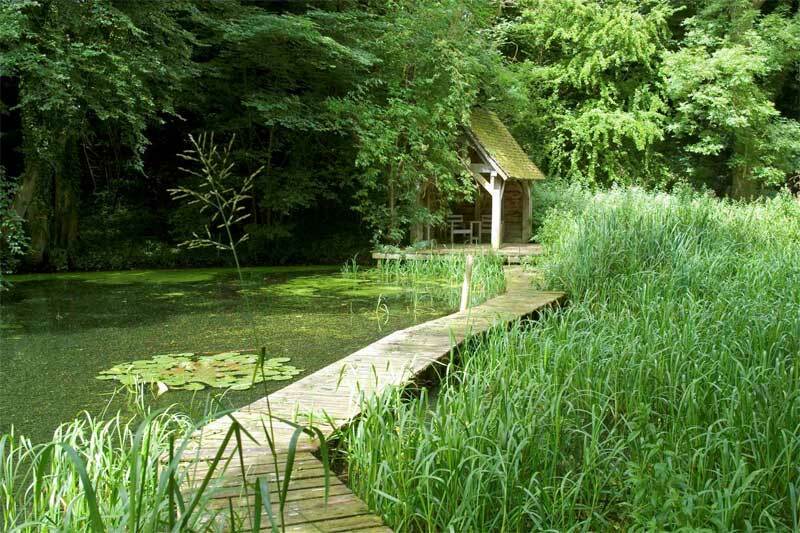 Wells Head also has a nice add-on option, for a little bit more money you can buy a second plot of land, lake and woodland totalling around 15 acres, if you want peace and quiet then the ‘upgrade’ option sounds perfect! 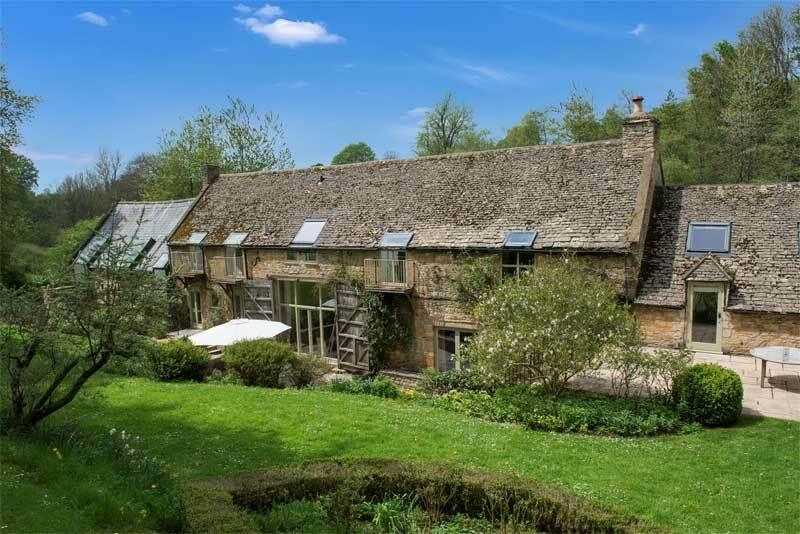 The property is Grade II listed so something to consider there, but then again most of the Cotswolds is listed isn’t it?? The agent has created this nice little video too, so maybe they do have electricity?! 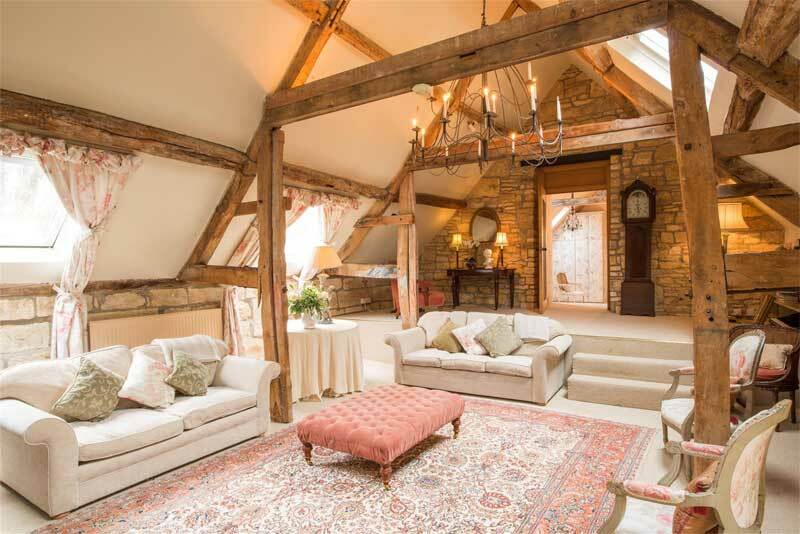 An impressive edge of village Cotswold stone barn with beautiful gardens and extensive grounds including magical lakes and woodland. Wells Head is situated down a long drive on the edge of Temple Guiting, a highly thought of Cotswold village with a great sense of community including a local school and a village shop currently undergoing renovation. Wells Head not only occupies a private position but is in a peaceful rural spot with enchanting grounds and access to long walks up its own small valley with a series of lakes surrounded by woodland. The house is an extensive Grade II Listed barn conversion with beautifully presented accommodation throughout and impressive proportions complimented by a self contained annexe. Of particular note is the elegant dining room with tall ceilings leading to a stunning double height drawing room with open fireplace and stairs leading to a large but intimate sitting room - all superb rooms for entertaining. Outside there are mature landscaped gardens and terraces with a Summerhouse. Large field with small stable yard and tennis court. In all about 9.32 acres. LOT 2 - Guide Price £250,000 A beautiful area extending to approx 14.54 acres with a series of lakes and woodland. A romantic lake side pavilion and well crafted tree house provide enchanting places for relaxed summer entertaining.